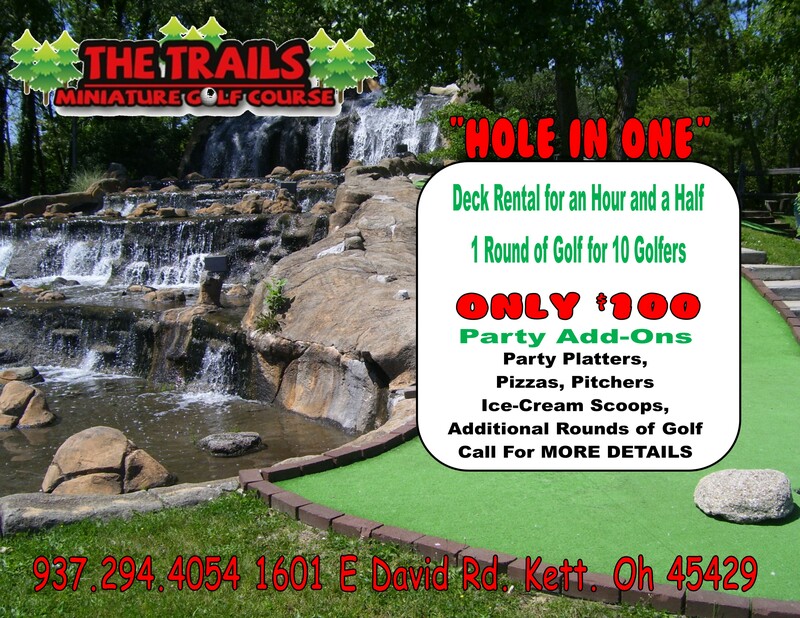 Located behind Skateworld of Kettering, The Trails Miniature Golf boasts two gorgeous 18 hole courses with NEW GREENS surrounded by trees and a natural stream creating one of the best miniature golf experiences in Dayton. 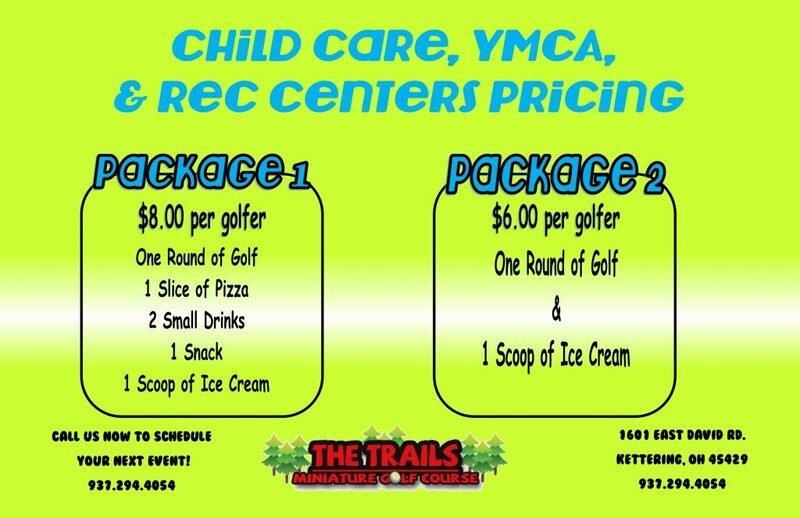 Open from April through October, weather permitting, The Trails Miniature Golf is the one location for all ages, corporate events, Summer birthday parties, group outings and more. 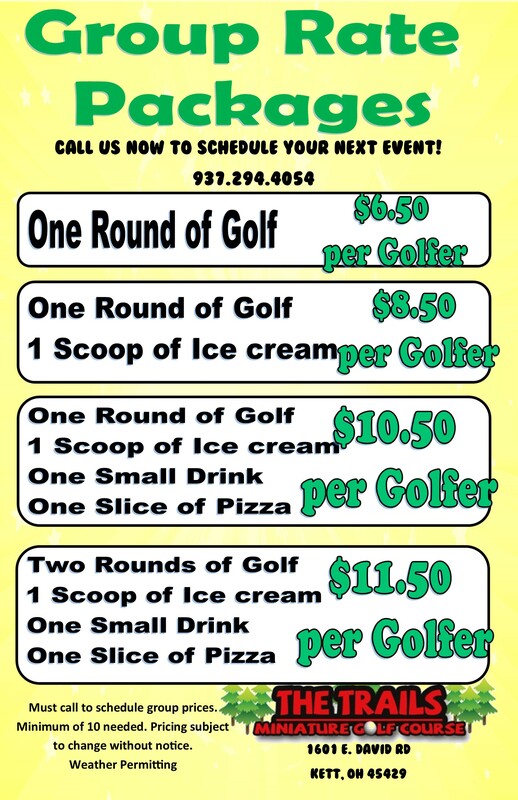 For more information just click below!